Last week I did a review and held a giveaway of Tracy Chevalier's new novel The Last Runaway. Tracy sent me an email and is kindly showing us her quilts! Thanks so much for your lovely review of The Last Runaway. I feel honoured that a quilter liked it so much! I thought your followers might be curious to see the quilt I made during my research for the book. For my quilting research I read a lot, looked a lot (especially the V&A exhibition in 2010, and also the York Quilt Museum). But I needed to DO it too, so I took a quilting class, and then joined the Flying Geese, a local quilting group that meets every Monday. Indeed, I’m still with the group, and will probably be making quilts for a long time to come. It’s all hand-made and hand-quilted, as I wanted to imitate the process my heroine Honor Bright went through. (Also I don’t have a sewing machine or know how to use one.) The fabrics are from various quilt shops in the UK and US, as well as from stalls at the Knitting and Stitching Show at Alexandra Palace London. I learned so much for making the quilt – about sewing (you don’t have to knot, you can backstitch! ), about pattern and putting different fabrics together, about fudging and tucking under loose ends. Funny, I do all that when I’m writing a novel, but didn’t realise it also applies to quilting! Making the quilt made it a lot easier for me to write about Honor making quilts. And it is a non-verbal activity, very welcome after all the reading and writing I do. Please could you all email me with your details and addresses and HarperCollins will send the books out to you. If I don't hear from you within 48 hrs I will draw another winner. A huge thank you to Tracy for sharing her work and thank you to HarperCollins for the great giveaway! If you didn't win now is the time to order your copy of The Last Runaway. Boo hoo- I didn't win! Lol! I saw the book in my local bookshop on the weekend, so I will just go out and buy my own copy. Congrats to the winners! Thanks Lucy and congratulations to the other winners! How fabulous to receive a letter from TC - thank you for sharing it with us!! I'm disappointed I didn't win but happy to see so many of my bloggy friends did. Nice to see the quilt made and that another fabric addict has been created. Thanks for this, Lucy. what a lovely letter from the author! congrats to the winners. What a fabulous response! So cool to see that another quilter was born. What a wonderful story and email! 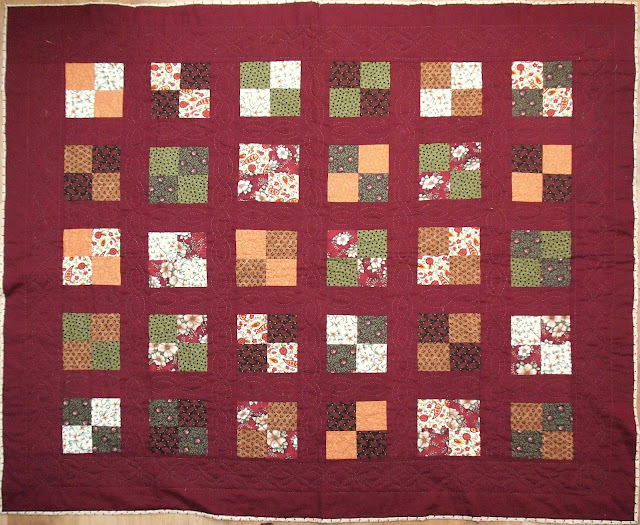 I'm so impressed that she made her entire quilt by hand, including the beautiful quilting. She did an amazing job, especially for a first quilt! How lovely to get a thanks and a back story from the author. Congratulations to all the winners....interesting to see how much trouble Tracey went to for her research....and now she has a new hobby too! Very excited to have won a copy. Really looking forward to a good read! I've emailed you Lucy. Yippee!!! I was really, really hoping I'd win and I did! I love Tracy's quilts and it was so lovely of her to send such a personal email! Off to email you, thank you! Super! I see many friends on your list...hope you guys love the book! What a great email from Tracy, It's great to see her quilt and what she's working on. I think her book is going to be a hit in the quilting community! Great story, great quilt and I'm so excited to have won. I've just e-mailed you. Thank you so much for the great giveaway. I can't wait to read it. Congrats to all the winners! 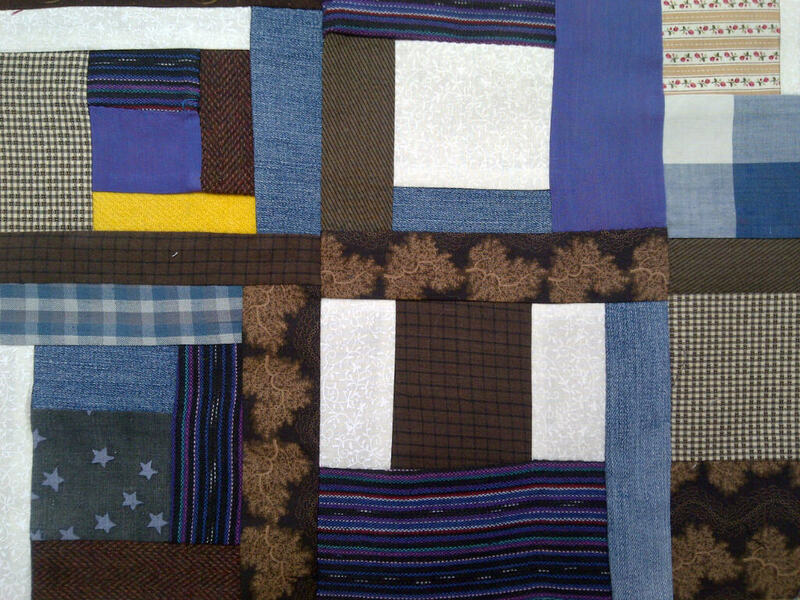 How lovely to have received that letter and the pictures of Tracy's quilt. I don't think I'd ever finish a quilt made completely by hand! gah! Sad I missed this one, I love Tracy's books! Congrats to the winners! It typically takes me about a year to get around to finishing a quilt that is machine made! So I'm blown away by Tracy Chevalier's efforts! Well done winners! As everyone else says - great to see another person quilting and lovey letter! Thanks for sharing it with us!